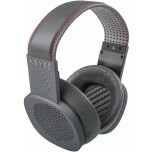 Abyss created what many believe to be the best sounding headphones in the world; the AB-1266. Now you can discover them for yourself. Simply arrange a visit to our showroom and "enter the Abyss" with a demo these prestigious headphones. Established in 1990 and part of JPS Labs, manufacturers of high end hi-fi cables, the extensive research and development department of Abyss have concentrated their energies in the field of headphones and to this end have produced some spectacular results. By focusing on material science and energy propagation, Abyss have engineered a method of producing the highest possible resolution wave of analogue sound, without any unwanted distortions, delivered straight to the ears. 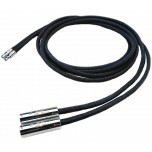 Therefore, Abyss have perfected a method to hear the very essence of the original sound source. The Abyss headphones AB-1266 completely floored us when we first heard them, and considering that we are very familiar with other high end headphones, like Sennheiser HD800, Grado PS1000e, Oppo PM-1 and HiFi Man HE-1000, we were pleasantly surprised by the performance of these headphones. To get the most out of Abyss headphones you will need a powerful headphone amplifier when properly set-up, there is really nothing comparable. 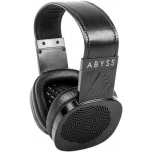 Previously, Abyss headphones AB-1266 were only available as a "Deluxe" package, Abyss released the "Lite" package more recently making the headphones available without the leather case and stand. 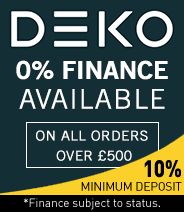 Don't forget you can order online with the option of 0% finance giving you the ultimate in high-fidelity headphones at a monthly repayment you can afford. Call or e-mail us if you're looking for a deal with a matching headphone amplifier. 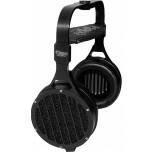 We also offer very generous part exchanges on the Abyss headphones and can consider your existing headphones, providing they are in excellent condition. We can consider headphones from Audeze, Audio Technica, Beyerdynamic, Grado, HiFi Man, Oppo, Sennheiser and other fine brands for part exchange. Please call us to discuss or e-mail a list of your equipment and we can come back to you with a quote.